42 teachers from St. Stephen’s wrote to UGC and the HRD Ministry to speak out against the idea of autonomy that has been actively rejected by students and teachers alike. 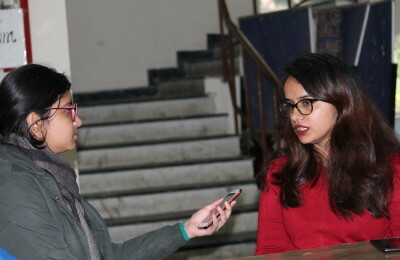 The issue of autonomy has been creating contention in the University of Delhi (DU) for a while now. Teachers and students are largely of the belief that autonomy will lead to a hike in fee and will go against the socialistic structure of the Varsity. Recently Hindu College wrote to the Union Human Resource Development (HRD) Ministry demanding to know if seeking autonomy will affect the kind of aid it receives from the Center. Last year over 20 colleges from the University has been invited to attend an orientation programme. The bid to seek autonomy has been led by St. Stephens in the University, with it being one of the first institutions that were rumoured to be attempting to seek autonomy. Earlier today, 42 permanent faculty members from St. Stephens College wrote to the HRD Ministry actively protesting against the issue of autonomy. On 25th February 2017, Principal John Varghese had claimed that the college will apply for autonomy only when the consultation of the staff council. According to the UGC Guidelines for Autonomous Colleges-2017, a college gaining autonomy will have the liberty to decide and apply its own courses; modify and redesign the syllabi to suit specific needs, and make it more hands-on to meet the criterion of certain job requirements. This is specifically the reason why DUTA and a large number of students from the varsity have actively protested against autonomy because it comes with the fear of privatisation and seems capitalistic in spirit to many. DU Beat has reached out to certain faculty members from St. Stephens College and will update the story once they respond.